You may well travel in one of the two thousand black cabs in London that are showing the film Dead Man’s Patterns over the next six weeks or you may see it on VeriFone Media screens. 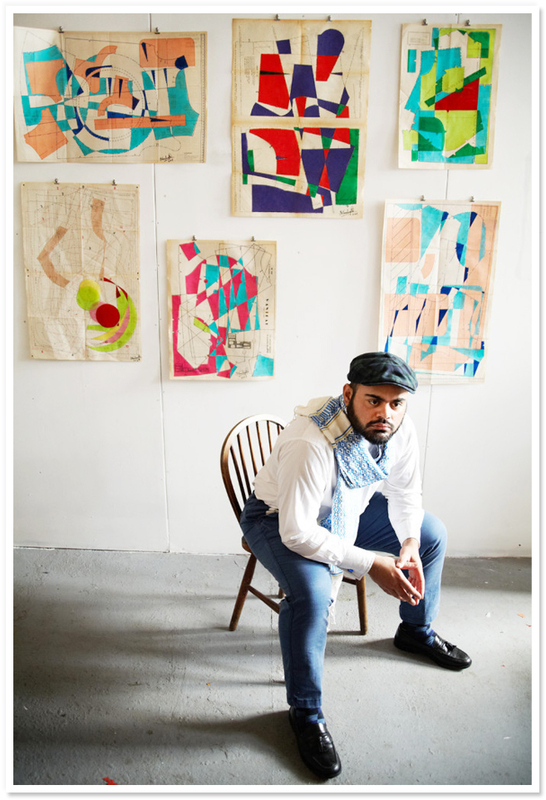 It shows the artistic process used by the by award-winning London artist, Hormazd Narielwalla to create his prints. Their inspiration initially came from discarded Savile Row tailoring patterns which he then overlaid in part with slivers of coloured acetate and tissue paper. For the online art retailer Easyart he has prepared a collection of seven limited edition prints made from French domestic tailoring patterns which come from his series Le Petit Echo de la Mode. This entry was posted in Contemporary Art, Fine Art, Prints & Etchings, Visual Arts and tagged contemporary art, prints, Visual Arts.